Your fishing license is the most important thing you need when going spearfishing. This waterproof pouch makes a perfect waterproof fishing license holder. I attach it to my dive bag so I know that I have it with me whenever I go diving. During hunting season, I attach it to my bow as a reminder to take it with me when I go hunting. 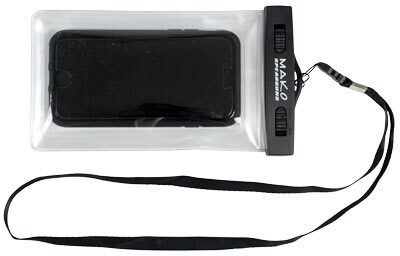 It also works well as a waterproof bag for your cell phone, but unlike our other cell phone cases, this one does not float. These are twice as expensive on Amazon/Ebay. Looks great at a great price.